The composer of the world’s best loved opera died at the age of just 36 – convinced that his work was a complete failure. 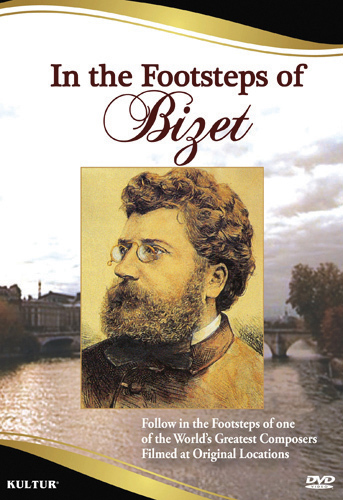 The letters and personal diaries of Georges Bizet reveal a personality torn between social acceptance and artistic success. It would be five years after his death before Carmen returned to the Paris stage to rapturous reviews. We travel to Paris and Rome to follow in the footsteps of his brief but productive life. In between we follow the rehearsals for a production in Orange, France. 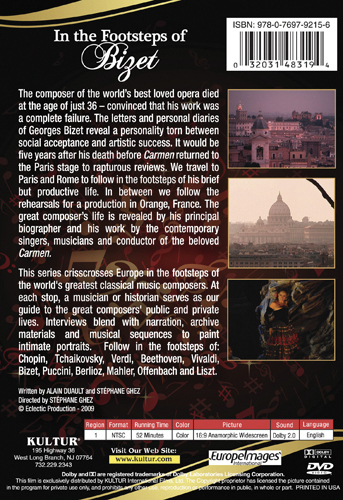 The great composer’s life is revealed by his principal biographer and his work by the contemporary singers, musicians and conductor of the beloved Carmen.